Ohhhh, Christmas time. A time for family and a time for friends, holiday cheer and maybe a little Christmas punch thrown in. Or a lot of Christmas punch. 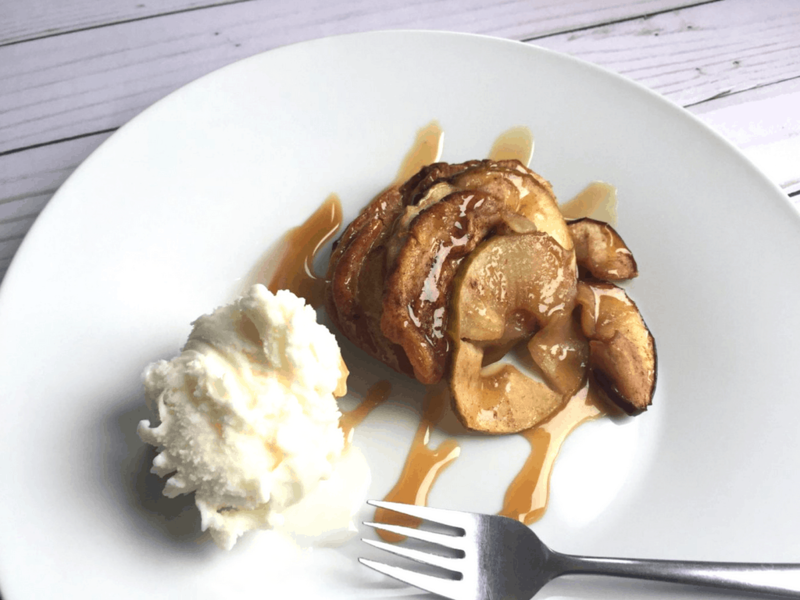 As the Holidays get near, everyone is hustling to buy gifts and make their famous casseroles and desserts. Don’t forget the beverage! 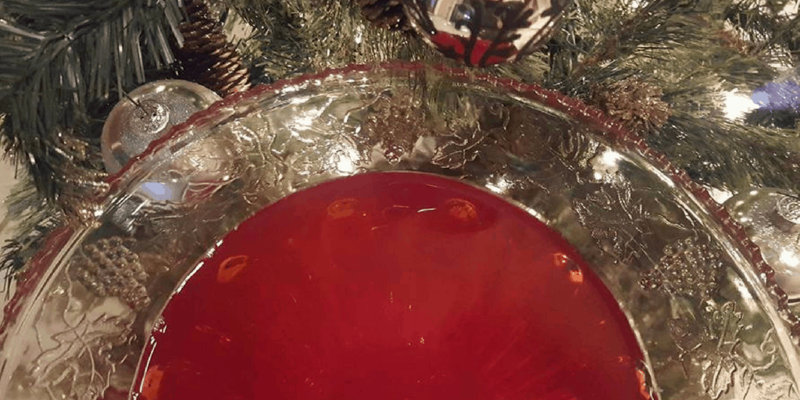 This Cranberry Christmas Punch is not overly sweet but it is overly delicious! 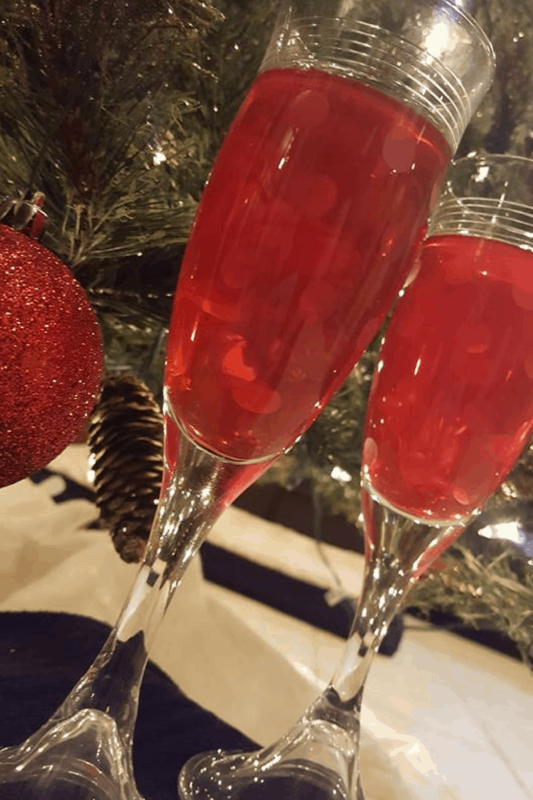 It’s bubbly, slightly sweet, tangy… and well, just down right tasty! It’s best if all ingredients are refrigerated before mixing. I even place the Hawaiian punch in my freezer about 5 hours before party time. Mix all ingredients in a large punch bowl. Stir well. Add in about 2 cups of ice. And it’s ready to be served! How easy is that?! If you don’t have a punch bowl large enough to hold all the contents, cut the recipe in half. Half of everything goes into the punch bowl. Then place the other half in the fridge. When the punch bowl starts to get low, just add the remaining ingredients into the bowl and give it a stir. I rarely use ice because I don’t like my punch to be diluted so I freeze one ice cube tray with punch and the other tray with cranberry juice. Plus the red cubes look lovely in the punch! And lastly if using alcohol, start with the 4 cups. Then increase if needed.